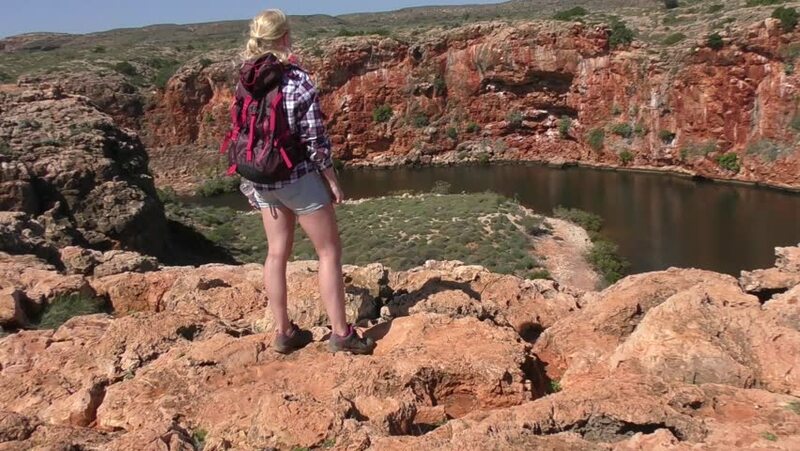 Blonde woman hiking in outback Australia, overlooking Yardie Creek river in Cape Range National Park, summer sunny blue sky, copy space. 4k00:31Senior woman climbs over the piled stones of red marble in the mountains. hd00:16GALILEE,ISRAEL - FEBRUARY 17, 2016: Rock climbing crag is a thrilling Extreme sport that challenges both the mind and the body.Israel has many professional rock climbing challenge sites. 4k00:12Aerial view Attractive young bikini woman swimming in turquoise water of tropical beach at Ningaloo Reef, Western Australia, with summer sunny blue sky, horizon, copy space.